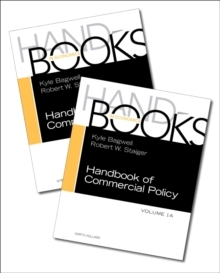 Handbook of Commercial Policy explores three main topics that permeate the study of commercial policy. 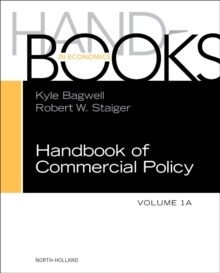 The first section presents a broad set of basic empirical facts regarding the pattern and evolution of commercial policy, with the second section investigating the crosscutting legal issues relating to the purpose and design of agreements. Final sections cover key issues of commercial policy in the modern global economy. Every chapter in the book provides coverage from the perspectives of multilateral, and where appropriate, preferential trade agreements. While most other volumes are policy-oriented, this comprehensive guide explores the ways that intellectual thinking and rigor organize research, further making frontier-level synthesis and current theoretical, and empirical, research accessible to all.